Featuring a blue marble swirl glaze, this attractive bath set helps organize any bathroom counter. 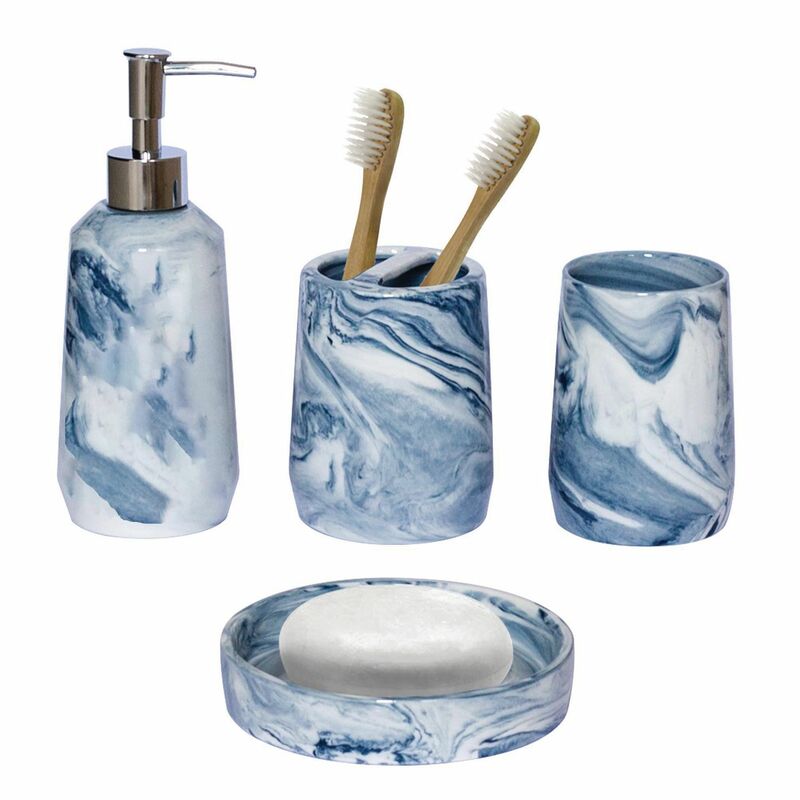 The set includes a lotion/soap dispenser, tumbler, toothbrush holder and soap dish. Set includes: (1) lotion dispenser 2.9 in. dia x 7.7 in. H, (1) tumbler 3 in. dia x 4.1 in. H, (1)toothbrush holder 3.4 in. dia x 4.3 in. H, (1) soap dish 5 in. dia x 1 in. H. Care instructions: Hand wash only.